you can read our complete guide to it. 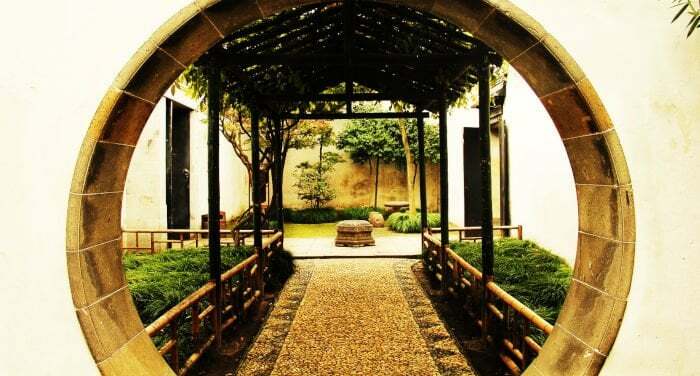 Suzhou, also known as Venice of the East, is a city known for its tourist attractions and history. However, behind them hides a modern city in the midst of economic development that goes far beyond tourism. Currently, Suzhou is one of the cities with the highest per capita income in the country, almost attaining Shenzhen levels, and which beats Guangzhou, Shanghai and Beijing. Compared to Shanghai, Beijing and Guangzhou, the cost of living in Suzhou is quite a bit less, especially in terms of housing. Despite the fact that the city’s rapid growth is quickly making it more expensive, it still remains quite reasonable. In addition to being a famous tourism destination among international travelers, Suzhou has a large population of foreigners of more than 250,000 people. In terms of nationalities, Koreans (20%), Americans (12%) and Japanese people (11%) are the largest communities. In addition to its foreign community and tourism, Suzhou is well connected with Shanghai (45 minutes by train), and therefore with Hongqiao and Pudong International Airports. All of these factors make it a relatively international city, and therefore an easy place to live for people who don’t want to make excessive changes to their lifestyle when arriving in China. Suzhou is usually ranked among the cities with the best quality of life in China. Suzhou has a relatively moderate climate, acceptable pollution levels, a dynamic economy, good transportation, architectural beauty, history and a reasonable cost of living. Without a doubt, it’s a city that you should keep in mind if you have medium- to long-term plans in China. In Suzhou, the population speaks a local dialect that belongs to the Wu linguistic branch, which is similar to the dialects spoken in Shanghai, Zhejiang, and parts of Anhui and Jianxi. Suzhou dialect is quite different from Mandarin, and is unintelligible for speakers of dialects similar to Mandarin. One of the reasons to study Chinese in China is the possibility of immersing yourself in the language, but this can be difficult if the people around you speak a dialect that is nothing like the language you’re studying. Nonetheless, the majority of the population in Suzhou is completely bilingual, and educational centers, public communications and the media all continue to use Mandarin. Despite the fact that Suzhou is a relatively large, dynamic and quickly expanding city, its educational offering is still quite far behind that of the large cities near it. Currently, Suzhou only has two prestigious universities in its urban center, and another one in its suburbs. If your interest in studying Chinese is purely academic, Suzhou might not be the best option for you. Cities close to Suzhou such as Shanghai, Hangzhou and Nanjing have a much broader offering and more prestigious universities in various subject matters. Silk Mandarin is a modern Chinese language school founded in 2015 with branches in Suzhou and Shanghai. It has a different teaching method. Its slow-motion technique, developed by the school, teaches Mandarin with a single rule instead of dozens. It has helped students achieve surprising results in a short time. All of its teachers are full-time employees. They also have a university degree, are native speakers, bilingual and passionate about teaching languages. Silk Mandarin offers intensive programs, part-time programs, private classes, online classes, summer camps and summer programs. 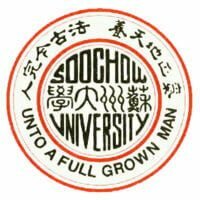 Soochow University, founded in 1900, is among the 30 best universities in the country, and is without a doubt the best university in Suzhou. Its main campus is located in the central district of Gusu, and has approximately 39,000 students, including more than 2,000 foreigners and people of 85 different nationalities. The Long-term Chinese Language Program: This program has two annual sessions, and classes start in February or September. This is an intensive study program that consists of between 20 and 26 hours of classes weekly distributed across 5 days. The Short-term Chinese Language Program: This program is intensive, with language classes during the morning and culture classes in the afternoon. It lasts one or two months. There are multiple annual programs. Other programs: In addition to regular courses, the university also offers some specific study programs, such as basic business Chinese or learning Chinese through film. 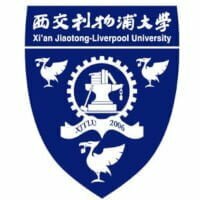 Xi’an Jiaotong-Liverpool University (XJTLU) was founded in 2006 through the collaboration of these two prestigious universities. It is quickly expanding and is one of the largest universities of its kind. Over the short time since the XJTLU was founded, it has managed to become one of the top 200 universities in the country. Its campus is also located in the Gusu district, very close to Soochow University. It has approximately 13,000 students, including more than 500 international students. 6-month courses: There are two sessions, one starting in September and ending in January and the other starting in February and ending in May. Courses consist of 12 hours weekly over 4 days a week, and have an approximate cost of 8,500 Yuan. Summer courses: The university offers multiple intensive summer courses lasting 2, 4 and 6 weeks. Courses consist of 19 hours weekly over 5 days a week. The price of courses are 3,900, 6,500 and 8,500 Yuan, respectively. 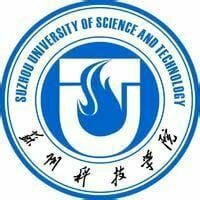 Suzhou University of Science and Technology, established in 1932 and re-founded in 2001, is a medium-sized university located in the outskirts of Suzhou. The university has a relatively good reputation, and is now home to approximately 21,000 students. This university has a Chinese language program lasting three weeks which starts in September and has a cost of approximately 2,500 Yuan.